Like many people, Joan Powers tried various gym options available to her. She used to go to a chain gym in Beachwood and remembers not having the best experiences. The women there were, she says, “almost model looking.” The age spread seemed narrow, too. At 61, Joan was used to not being the youngest person around, but the chain gyms seemed to be filled with intimidating muscle bros and college kids. Her daughter found out about Health 360 through COSE. She convinced Joan to give it a shot, too. Joan was hooked. Health 360 wasn’t like the chain gyms, she quickly realized. Instead of being filled with one group of people, all walks of life were represented. “It’s very non-threatening,” Joan says about the environment at Health 360. Everything was going pretty well, it seemed. Then Joan was diagnosed with type 2 diabetes. “It was devastating,” Joan says. She’d been working out since her 30s, and considered keeping up her health paramount. Her mother is 88 and has osteoporosis and Joan kept that in mind. Avoiding a family history of problems was part of what kept her going. But, Joan didn’t let the diagnosis stop her. She works with Kelsey and Cindy, two of Health 360’s professional, highly-qualified personal trainers. They go over nutritional advice and design workouts together that are personally tailored for Joan. “It’s not cookie cutter,” Joan says in reference to her workout routines. Instead of doing the same thing with all their clients, her trainers make sure to take the time design workouts that are right for her. “They talk the talk and walk the walk,” she says. With Kelsey, Joan does real boxing workouts. Cindy helps her out with nutrition and fitness routines. They both make sure Joan gets everything she needs from her Health 360 visits. “It’s important to work yourself hard. It’s important to push the limit,” she says. That was made much more clear by the diabetes diagnosis. Joan has had such great success at Health 360 that she even convinced her fitness-shy husband to come on board. He too had noticed how, at most chain gyms, the clientele was muscly dudes and model-looking women. It all felt intimidating to him, remembers Joan. “I don’t care what people think of me,” says Joan. She goes to the gym to workout, and does not bother with hair or makeup. And the best part about Health 360, she says, is that her husband found out that nobody else cared either. He could take things at his own pace, even when professional athletes like Stipe Miocic were there working out. Joan says her husband is far more confident now and works out regularly. Teri Fisher knows what it is like to work with a personal trainer because she was in that spot herself once. This 58-year-old mom started at Health 360 by working with a personal trainer. She’d sent her son and husband here first, however. Her son started off pretty nonathletic, but he quickly grew eager for his trips to the gym. In fact, he’d impatiently anticipate his training sessions; if he felt like he was not being pushed hard enough, he would request a new trainer. After seeing such success, she sent her husband to Health 360 as well. As for herself, Teri has a degree in nursing. Before Health 360, she worked as an RN in labor and delivery and women’s healthcare. She had always been athletic, including being a competitive ballroom dancer for 15 years. She’d also done taekwondo, becoming a 3rd degree black belt in addition to being an instructor. She signed herself up for personal training sessions after seeing the success of her husband and son. She quickly realized how different Health 360 was. “There were women around my age,” she says. The diversity of clients was encouraging. Instead of pretty young models running the place, Teri noticed people of all sorts enjoying themselves and getting fit. She decided to pursue becoming a personal trainer herself. While working full time, she got her personal trainer certification from the American Council of Exercise in July of 2013. She took on clients and she soon quit her old job and became a full time trainer at Health 360. Teri also works with new clients to go over their health, decide what works best for them, and figure out what sort of help they need. She does physical checks on all of them; using her nursing background she can identify many medical issues that may influence someone’s fitness plans. “Everybody cares about each other,” she says about Health 360. She not only does the initial screenings, but Teri also passes on that information to the trainers who will work with them, to make sure everyone is on the same page. Teri is especially involved in training women in their 40s, 50s, and 60s who want to be able to have fun with their grandkids, sit and stand with no pain, and be active. “When someone sees a trainer their age who can do all this… it encourages them to do more and be stronger,” says Teri. Because Teri used the personal training services at Health 360 herself before she became one, she has a unique perspective on the experience. Instead of coddling her, the trainers she saw kept to the philosophy of “You’re strong and healthy and we’re going to treat you like a strong and healthy individual,” she says. Getting active is a common goal. After all, with the warnings about sedentary lifestyles leading to all manner of problems, most people find that is all they need to get started. Hiring a personal trainer seems to be the next logical step. Someone to keep tabs on you, design workouts, and push you forward sounds like a great idea on the surface, right? But, there’s a dark side to the fitness world that most people do not know about and that the industry would prefer to keep hidden. At first glance, getting a personal trainer seems to mean a professional that knows the ins and outs of health and wellness. That, unfortunately, is not always the case. In reality, personal training is a field that is often poorly regulated, hard to keep track of, and full of misinformation. What’s Wrong In The Industry? Almost anyone can call themselves a trainer. Less than 10% of people doing so have a degree in a related field. Some 40% of trainers claim certification, but unlike Victor, they can have as little as 100 minutes of education before being able to work at a gym, and many have lapsed certifications. Victor recalls a 19-year-old man coming in to Health 360 wanting to work as a trainer. He had recently quit a large chain gym after seeing the questionable practices they employed. Mostly, the trainers were poorly educated people hired mainly to look good. While appreciating the man’s drive and ethical commitment to training, Victor turned him away and told him to come back after extensive schooling. 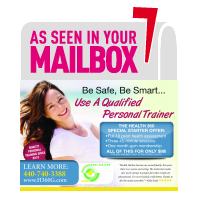 Health 360 requires its trainers to have degrees and stay on top of their continuing education. The rest of the industry, however, does not. Large chain gyms lobby to keep the market unregulated. This keeps their prices down. After all, if they can sell a few thousand memberships but not actually have most of those people come back, while still making money, they have little incentive to change. “Nobody knows which college will oversee it,” says Victor, referring to the various agencies which claim to certify trainers. Some are stricter than others, but the variety of options means it is often not clear who is in charge. On top of that, customers have their own, often incorrect, ideas about fitness. In fact, the top 10 Instagram fitness personalities have no formal training, says Victor. Instead, they are fitness models who look the part. Health information constantly changes, so Health 360’s trainers spend plenty of time devoted to understanding new developments, chain gyms often don’t bother. It’s not all doom and gloom. Places like Health 360 have a mission to change the training market. “We took it upon ourselves,” says Victor, because for consumers, “the system is failing them.” His trainers all have degrees, constantly research new health information, and work one-on-one with clients. They have years of training and backgrounds in fitness. Instead of generic one-size-fits-all workouts, they work with clients to determine what’s best for them. Research, into trainers and into a gym’s background, is a consumer’s best weapon. Victor compares going the gym to going to the doctor. You don’t walk in, pull something off a shelf, hope it is your file, and solve whatever is wrong with you. Instead, you and the doctor work together to determine the problem and how to fix it. “Your exercises are medications,” says Victor. And just like medications, Health 360 works to ensure everyone gets the right prescription. Maryann Zehe’s life was pretty standard for a woman her age: hobbies, family, and the gym. Then her husband fell off the roof. In an instant, her life went haywire. Hospital trips, doctors, forms and more took over. Her husband was now paralyzed from the neck down. Normalcy, it seemed, was a long ways away. But Maryann had what she called her “little hidden treasure.” Every day during the two years that her husband was in the hospital, Maryann got up early and went to the gym. Not any chain gym full of machines and college kids masquerading as trainers, though. Maryann went to Health 360. She credits much of her turnaround during those difficult days to Health 360. “I never would have made it,” she said. Maryann started at Health 360 a few years before her husband’s accident. She’d tried a few of the big chain gyms, but they were always a disappointment. One day, Maryann overheard the staff at her large chain gym making fun of clients. She’d had enough. “Nobody even said hi,” she said in reference to just how cold and unwelcoming the chain gyms felt. Health 360, she realized, was vastly different. Maryann stuck to one routine and then called it a day at the chain gyms. “I’m doing stuff now I never thought I would do,” she says. Maryann’s personal trainer, Teri, works with her on workouts and new routines. They have a relationship that goes beyond just trainer and client. They talk about kids, life events, and more. Teri keeps up with Maryann to make sure she stays dedicated, and even motivates her to try new workouts. Maryann used to stick to the treadmill, never picking up weights or altering her workouts. Now, she weight lifts, strength trains, and even flips tires on occasion. Maryann’s husband just got sicker, unfortunately. He had full mental capacities but his body would not respond. And he just kept getting infections. He died last February. Maryann credits Health 360 with her new outlook on life. “This gym saved me in so many different ways,” says Maryann. She had people checking in on her both during her husband’s time in the hospital and after his death. Unlike at the chain gym where getting a “hello” out of someone seemed next to impossible, her gym mates at Health 360 made sure to keep tabs on Maryann. “It’s not the equipment, it’s the people that makes the gym,” says Maryann. Even her doctor saw a positive change. “She calls me her poster child,” says Maryann, in reference to the fact that she lost 60 pounds and is now fit and active. Now, Maryann is up to various new things. She’s practicing her golf swing, and even though she claims she’s such a bad shot it makes her trainer mad, she’s having fun. She’s even planned a safari in Botswana during August. "I was really WOWed. Health 360 is no ordinary big box gym. And way more affordable and flexible." "…the equipment is state-of-the art and the wide variety of classes offered are excellent. The friendly warm family-like atmosphere at Health 360 even includes the other members." "…I think Health 360 approaches the goal of membership growth in the right way. They understand that it’s not all about numbers, but adding value and making going to the gym a great all around experience."